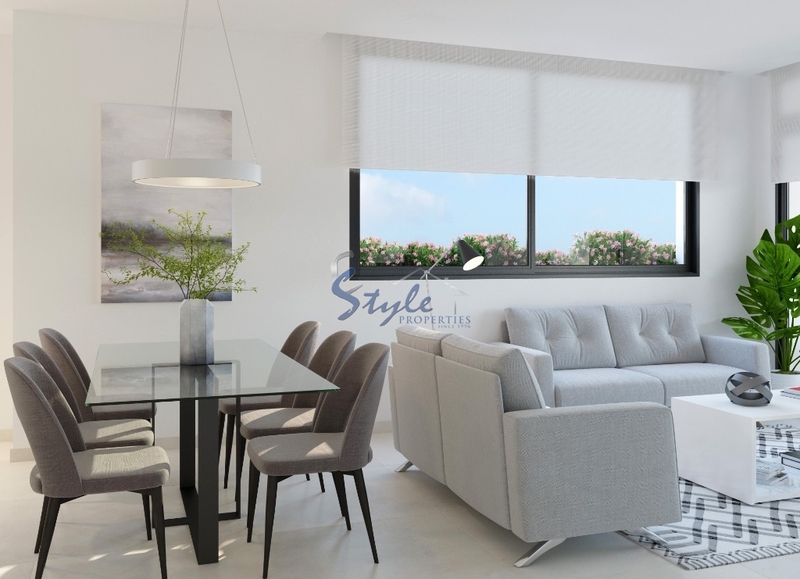 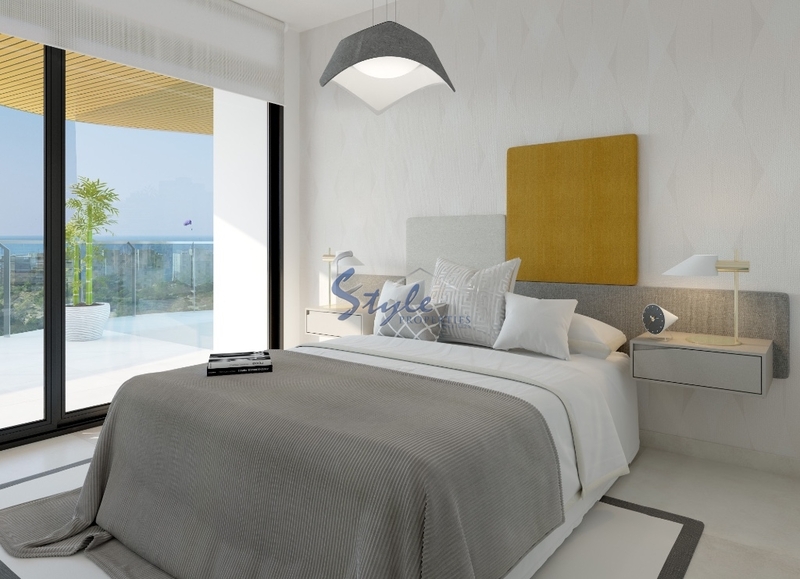 New build apartments have a privileged location less than 200m from the beach and an unbeatable orientation to the south. 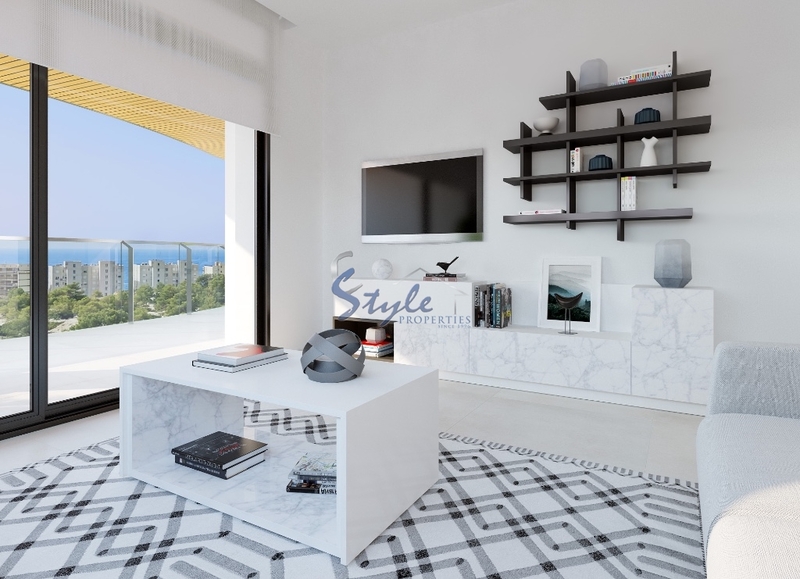 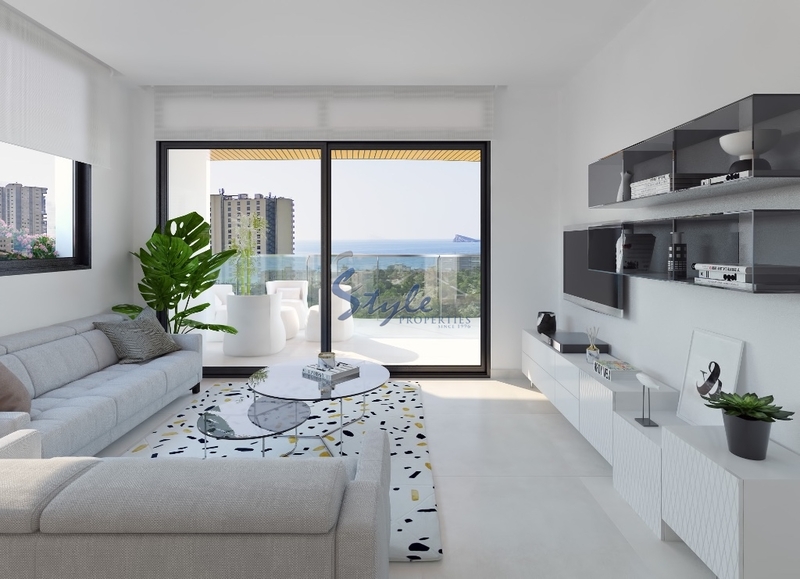 Due to its elevated position, the apartments enjoy beautiful sea views. 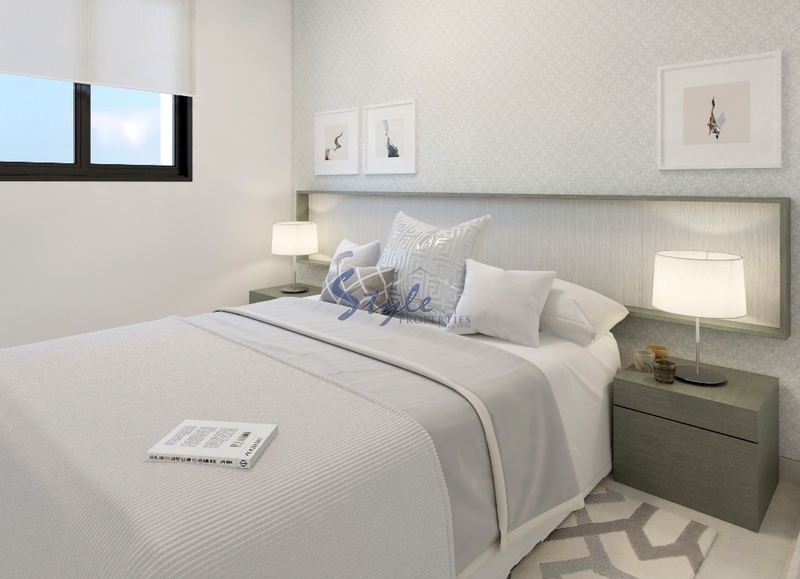 The towers mainly comprise 2, 3 and 4-bedroom apartments with 2 bathrooms and exclusive penthouses with their own whirlpools. 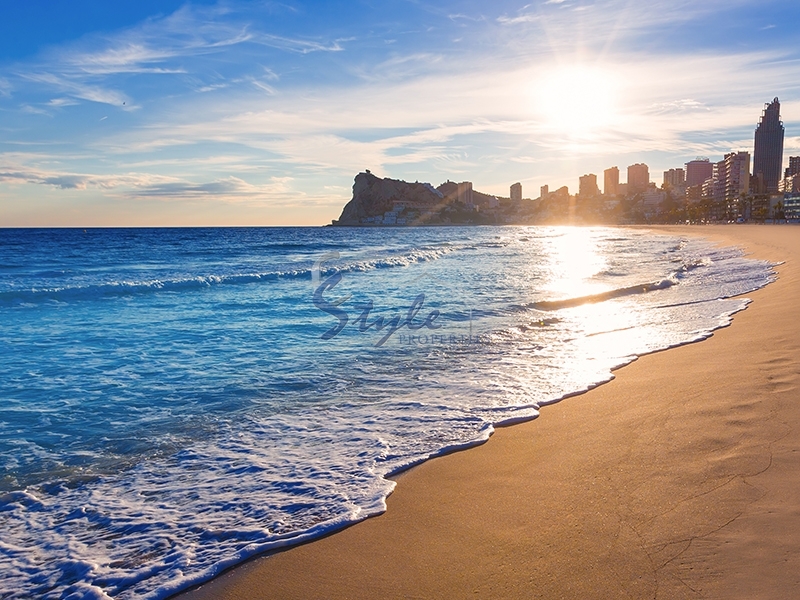 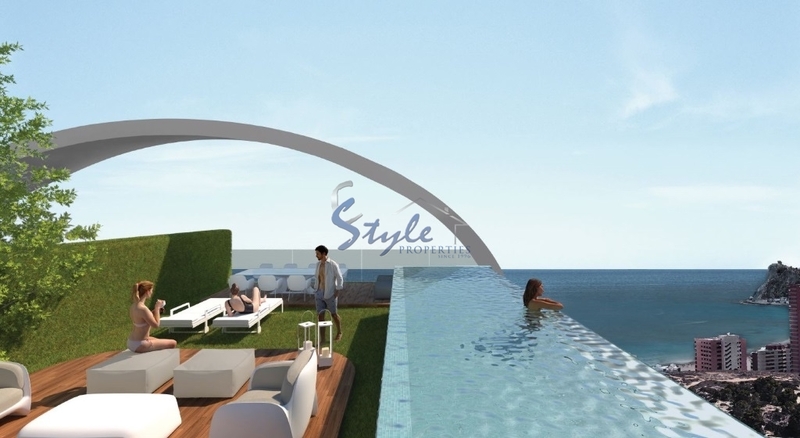 The complex has an avant-garde design with a touch of sophistication that modernises the skyline of the Poniente beach of Benidorm. 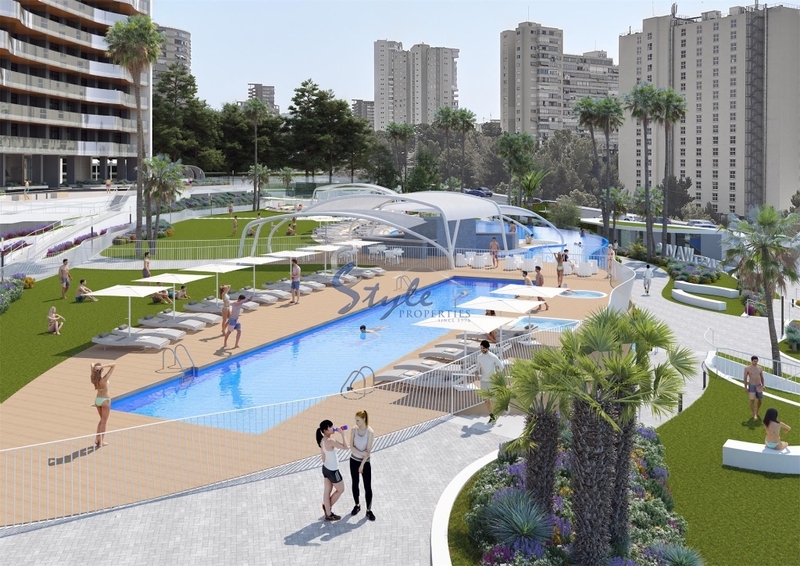 It's a colossal project over 20,000m2 in size that includes communal and recreational areas totalling more than 10,000m2 and accommodating extensive, well-tended gardens, 3 swimming pools, 3 whirlpools, a chillout lounge area with 2 bars, one wet and one dry, and a beach area totalling over 2000m2 with natural grass... among other features. 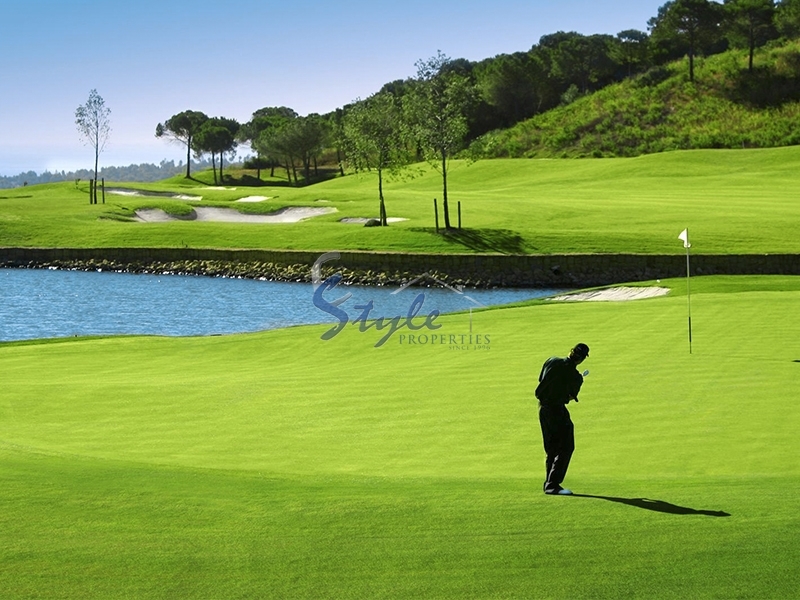 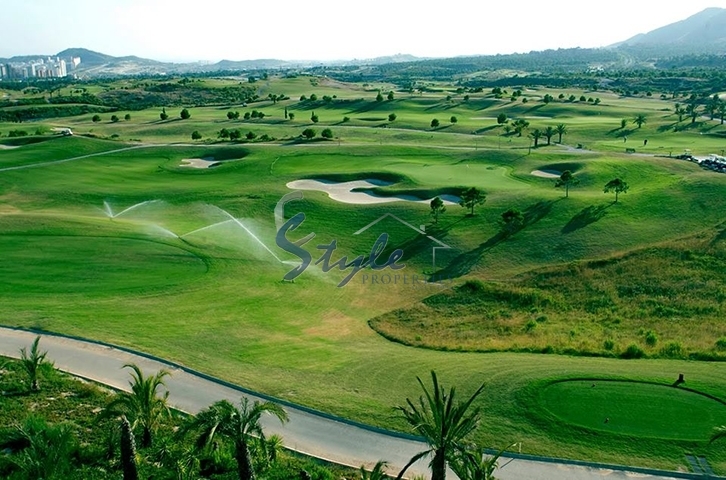 The extensive lineup at this residential estate also includes a large sports area to make even the most demanding of athletes happy, equipped with a heated swimming pool, a tennis court, a paddle court, multisports area, petanque courts and a panoramic gym sized 120m2. 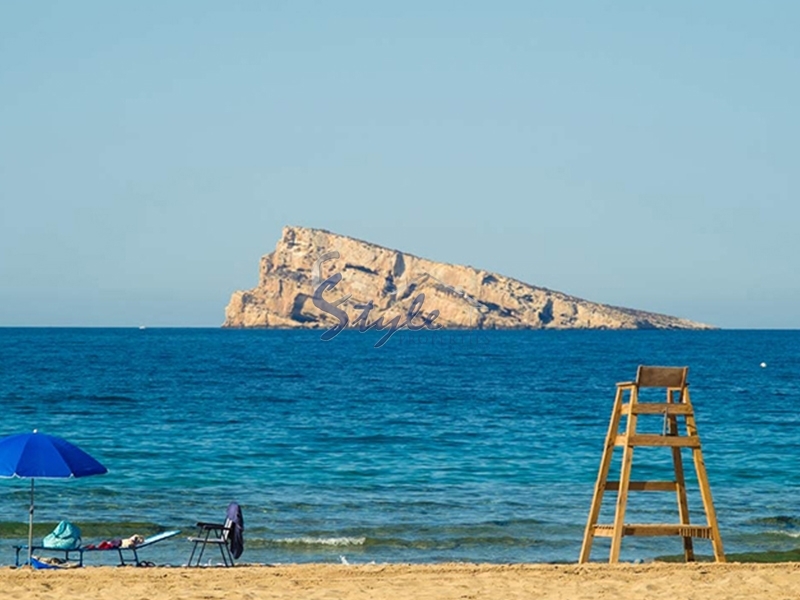 Those who prefer relaxation and peace and quiet can enjoy the chillout areas here: picnic areas and chess tables, massage rooms and sauna, completing the facilities of this fantastic resort. 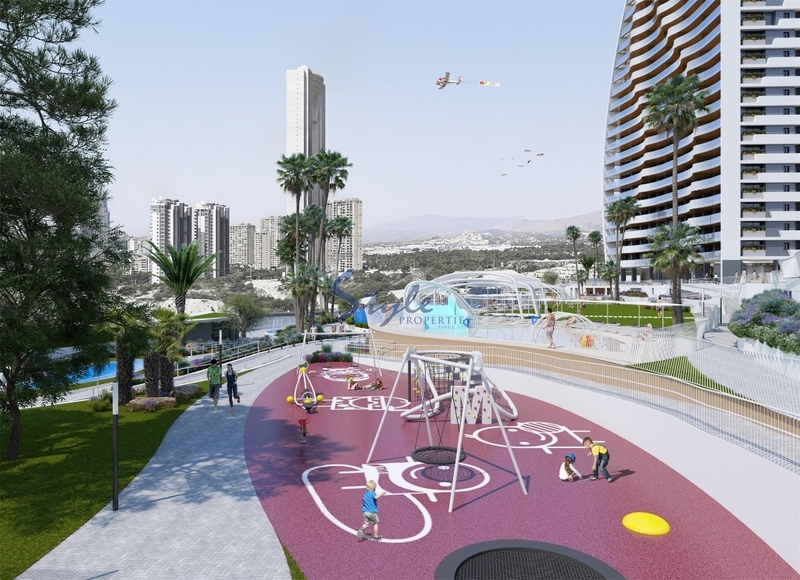 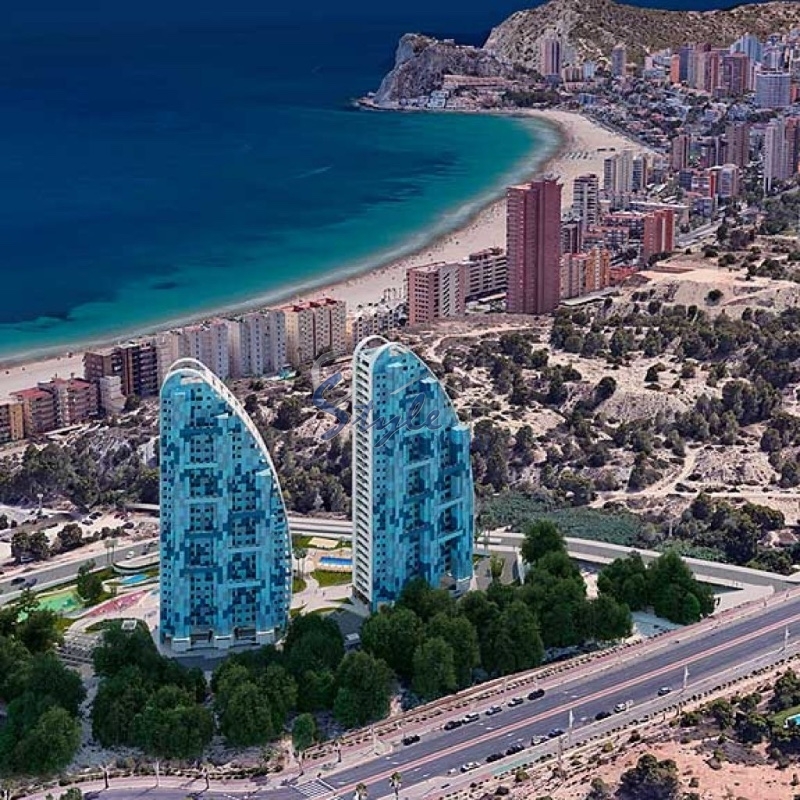 The children's playground, the climbing wall and the pool-lake within the security perimeter is the perfect place to let your kids have fun.The new complex of Benidorm is located in region on the Costa Blanca, close to neighboring Altea , around 40 kilometres from the city of Alicante and its International Airport( Spain). 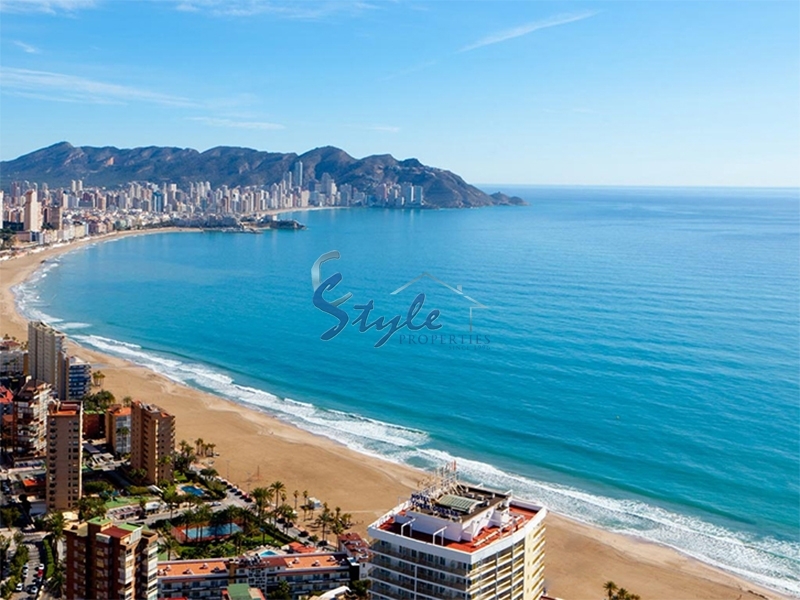 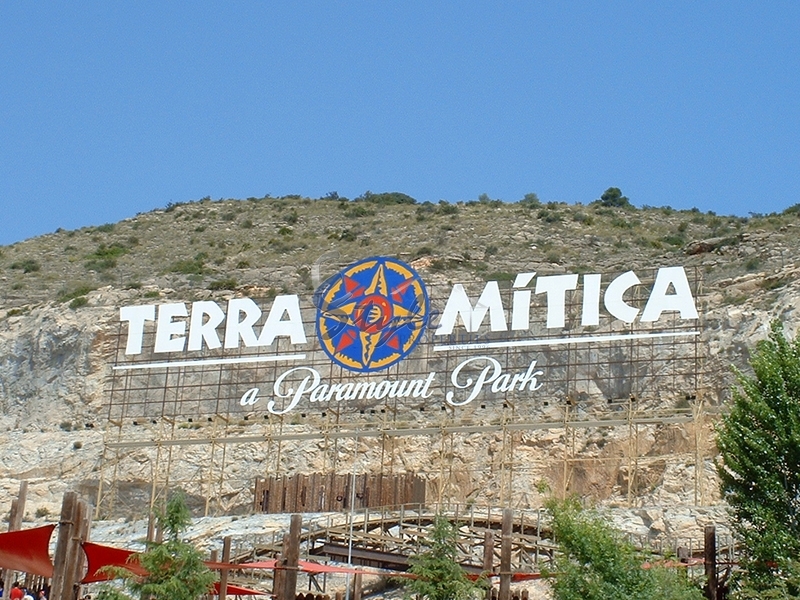 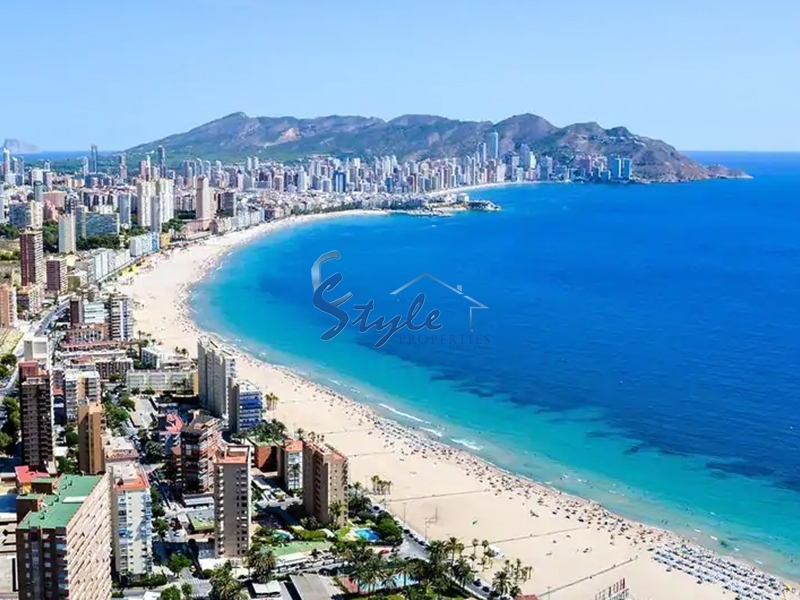 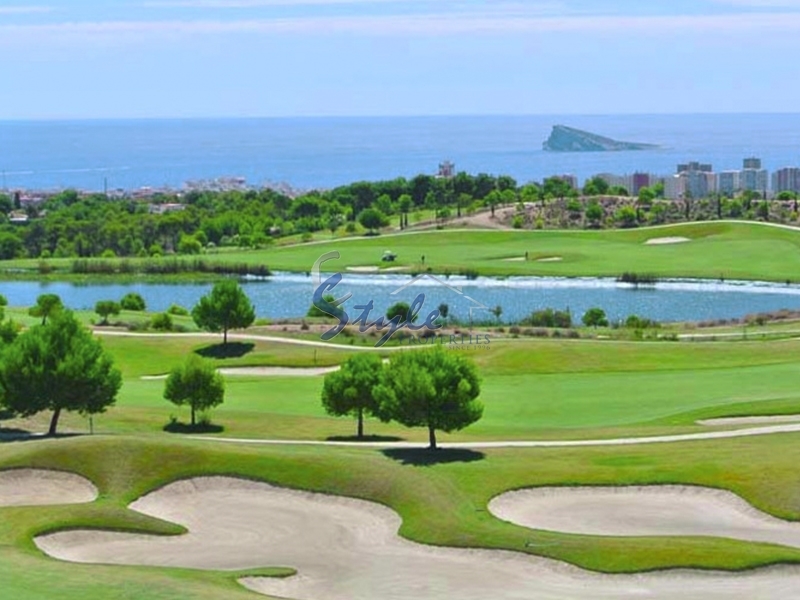 The area has increasingly become more and more popular and its development has made it almost an extension to Benidorm itself.